Delhi’s leisure menu is just beginning to expand and the newest entrant vows to bring the Sherlock Holmes out of you while breaking the monotony of bowling and pool. Ctrl.Shift.Esc is an escape-gaming center in Hauz Khas Village, right opposite Kolkatta Rolls and amidst some of Delhi’s best cafés and the famed lake. For the uninitiated, escape gaming involves multiple participants being locked in a room (or rooms) and their quest for escaping the same in limited time. The Safehouse is CSE’s debut game. It can be played by a recommended 2-6 people, but CSE has accommodated larger groups. While we obviously cannot spoil the game for you, we can declare that the experience will drop your jaw every time you figure something out while unraveling the mystery. It’s a story of doors, locks, hidden keys, picture-puzzles and some clever use of electronic gadgets as well. There are also a few distractions in the game you better watch out for. Despite feeling that there was more room for the spook factor, I enjoyed discovering the intelligently placed clues. The participants are given a walkie-talkie for communication with the gamemaster and can ask for 3 hints during the game. At Rs.600 per person, Ctrl.Shift.Esc is certainly costlier than a regular game of bowling or billiards in the city but considering each game at CSE will only be a one-time affair (since the game remains unchanged), it won’t be wise to overlook it for long. Frequent discounts are announced on their Facebook page. The venture is fronted by Sanwari Gupta, an NYU alumnus. 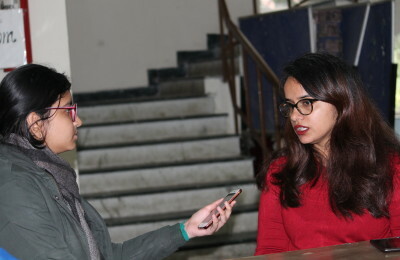 She informed us of the possibility of tie-ups with lounges like Hauz Khas Social for all-inclusive packages as well as about the ongoing work on their second game. If you happen to plan a hangout with a long-lost friend or decide to take a break from life, you should consider spending 60 minutes at Ctrl.Shift.Esc. It is also recommended for corporate circles who would appreciate enhancing the rapport shared between teammates through a rather fun activity.